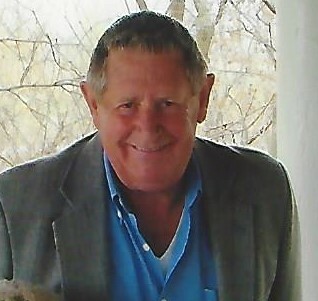 Marion Ray Griffith, 79, of Keyesport, IL went home to be with the Lord at 12:50 AM on November 14, 2018 at his home with his family by his side. A visitation will be held 11:00-12:30 followed by a Celebration of Life service at 12:30 Saturday, November 24, 2018 at Columbus Baptist Church in Keyesport, IL (503 County Road 60 East Mulberry Grove, Illinois 62253). Another visitation will be held 3:00-4:30 followed by a Celebration of Life service at 4:30 Sunday, November 25, 2018 at The New Beginnings Church in Newton (8622 N State Highway 130 Newton, Illinois 62448). The Barkley Funeral Chapel in Greenup, IL is assisting the family. Marion was born on July 9, 1939 in Rose Hill, IL. The son of Roscoe Clyde and Nora Inez (Childress) Griffith. He married Shirley VonBurg on March 3, 2010 and she survives. He is also survived by his children Rick (Paula) Griffith of Champaign, IL, Tammy Griffith (Connie Fox) of Piper City, IL, Tresa (Blain) Butler of Yale, IL, Vern (Kim) VonBurg of Keyesport, IL, David (Kathy) VonBurg of Jonesboro, Arkansas, Mary (Butch) Stockmann of Aviston, IL, Paula (Duane) Knutt of Keyesport, IL, Scott (Amanda) VonBurg of Vandalia, IL, Tammy (Sharon) VonBurg of Georgetown, Indiana, and Chad (Shelley) VonBurg of Greenville, IL; sister Jeanette (Larry) Pontius of Morton, IL; eighteen grandchildren, fourteen great-grandchildren, and one great-great-grandchild. He is preceded in death by his parents, son Kevin Ray Griffith, and one great-grandson Kendrick Ray Gangloff. Marion was an associate pastor at the Columbus Baptist Church, and also had pastored at the Jewett Community Church in Jewett, IL and the White Oak Christian Church in Oblong, IL. He and his wife Shirley had been the Campground Host/Manager for the Hide-Away Campground in Keyesport for over 20 years. Marion was a true outdoorsman who loved fishing, hunting, and the elusive search for wild mushrooms and ginseng. He was an avid St. Louis Cardinal and Fighting Illini fan. In lieu of flowers memorials may be made to Columbus Baptist Church Keyesport, IL. Online condolences can be expressed at www.barkleyfuneralchapels.com.